This workshop is aimed at physical performers who want to deepen in acrobatic techniques, both individually and collectively, and seek to add that “Risk” factor that some circus disciplines have. With this, they will obtain tools that will help them to enrich their creations. 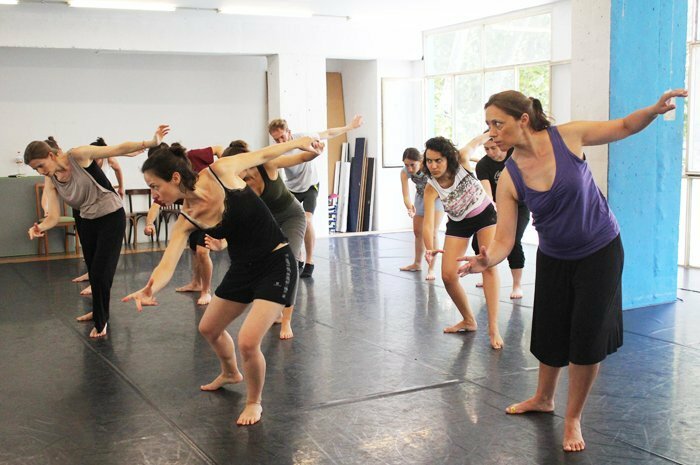 In this intensive course, the base of acrobatic lifts, the search for inverted balance and “musicality” in ground acrobatics will be some of the parameters we will study before developing sequences and choreographic links with acrobatic content. – Strengthening and toning the body. – Technical base and body position. – Blocking, explosiveness, flexibility and elasticity in movements. – Development of individual and collective trust. – Musicality in ground acrobatics. – Acrobatic balance in pairs and small groups. Professional circus artist, graduated in Centre de les Arts de Circ “Rogelio Rivel “(Barcelona 2006-08) and in Centre des Arts du Cirque “Arc en Cirque”(Chambery 2008-10) with specialization in airlifts, hand-to-hand acrobatic balances and ground acrobatics, researching especially into the fusion of acrobatics and contemporary dance. He has worked in France and Spain, founding acrobatic circus companies such as Compañía Dospuntos, Cia. Ordi n’Airez and Octavia Circ among others collaborations. He is working as an individual and collective acrobatic techniques teacher in schools and training centers in Barcelona. With more than 10 years of experience he bases his methodology on the pedagogy of acrobatics by Alberto Feliciate, who he had as a mentor when he was studying in Barcelona. Subsequently, he has specialized in training students in preparation for auditions to professional circus schools.